In 2016, remarkable sounds below the range of human hearing reverberated through the crater of a volcano in Ecuador. Now, scientists think these orogenous beats could be harnessed to figure out what’s happening inside other volcanoes around the world. Volcanoes are noisy things, known for producing cracks, rumbles, roars, and even thunder as they erupt. 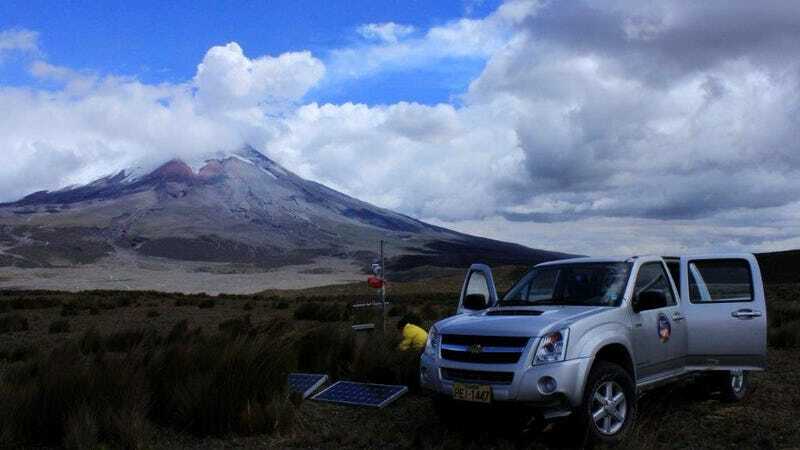 But shortly after Cotopaxi volcano—a stratovolcano in Ecuador’s Cordillera Central about 40 miles southeast of Quito—blew its top in August 2015, Ecuadorean scientists at the Geophysical Institute began detecting a sound that seemed downright musical. These pitch-perfect oscillations reverberated inside the summit crater for about 90 seconds at very low freqeuncies before fading out. The researchers dubbed them tornillos, which is Spanish for screw, an homage to the waveforms’ remarkably sinusoidal shape. Although screw-shaped sound waves have been detected at volcanoes before, they’ve typically been short-lived, sloppy-looking things by comparison. The researchers got to investigate the sonic mystery further after installing additional listening equipment about five miles from the summit crater in late 2015 to listen for subtle signals and lahars (mud flows). In the first half of 2016, they detected 88 more reverberating sound waves, which may have been associated with explosions at the bottom of the volcano’s central crater, which collapsed during the 2015 eruptions. The characteristic oscillation of those waves told the researchers the crater was essentially acting like an enormous pipe organ—one that’s approximately 250 meters (820 feet) wide and 300 meters (984 feet) deep, according to the paper published Wednesday in Geophysical Research Letters. View from the top of Cotopaxi’s crater. If infrasound signals of similar quality can be detected at other volcanoes, they may likewise be used to determine the dimensions of the eruptive instrument producing them. 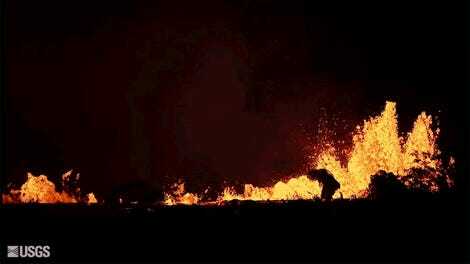 “The cameras at Kilauea have been used to reconstruct crater geometry really well,” Johnson said. By pairing the frequent visual observations at Halemaʻumaʻu crater with infrasound, scientists could essentially ground-truth the use of sound to see inside the beast. As the magma level at Kilauea’s summit continues to drop and the crater continues to collapse in on itself, the volcano’s tune should change. 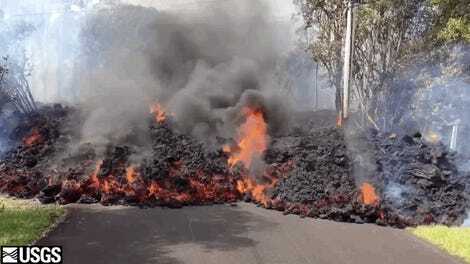 “The rapidly changing conduit shape is undoubtedly altering the infrasound signals being recorded near the summit,” Greg Waite, a seismologist at Michigan Tech who does research at Kilauea, told Earther. Eventually, Johnson is hopeful the technique can be applied to situations where we don’t have good visual observations but would like to know if a volcano’s internal plumbing is changing, or if an eruption is becoming more likely.